Floodwater swept through wooded areas in the Town of Killian after the March 2016 flood. Mayors throughout the south and southeastern end of the parish remain doubtful, however, that a draiange district would pass on a second attempt with voters. Water covers the roadway in French Settlement after a heavy rainfall. Mayor Toni Guitreau belives the massive cleanup project and rebuilding of the wier on the Amite River will make a huge difference in drainage on areas alwong the waterway. DENHAM SPRINGS – Nearly two years have passed since residents in the south and east part of Livingston Parish voted down proposals for gravity drainage in their districts, but the respective mayors agree that their areas need more service. 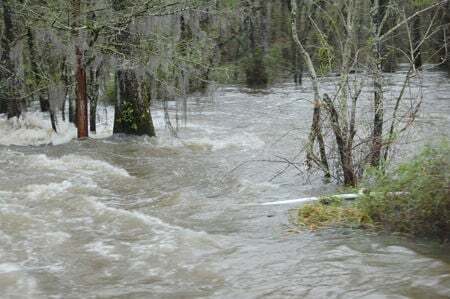 The heavy rains since the start of 2019 have raised concerns for residents throughout the parish, many of whom still feel the pains from the August 2016 flood event, the worst in modern time for the area. The big question for those areas: Would another proposal have a chance with voters? Killian Mayor Gillis Windham believes the parish should consider impact fees which would go toward cleaning of waterways, a move that has worked well in Tangipahoa Parish. Residents in the southeast end of the parish have mixed emotions on parish wide drainage because they believe the parish does not spend as much money on their area, Windham said. All agree that the upcoming waterway cleanings, along with the forthcoming $50 million cleanup will make a difference for flow of water, but funding for regular drainage service remains another story. “They’ll never pass another sales tax on this side of the parish,” Windham said. Port Vincent Mayor Johnnie Page also doubts a district proposal would pass muster with voters on a second try. He believes the first attempt would have had a better chance with voters if they had received a more detailed plan on where the initial money would have gone. French Settlement Mayor Toni Guitreau believes the biggest help for the area would not come through a tax, but instead through the forthcoming work on the weir along the Amite River. Much of the village’s worst flooding has resulted from poor flow of water along the river, she said. The $8 million project on the Amite River will involve measures to ease flooding, including the restoration of silt back on the island. A similar process will come into play along the Blind River. The work is funded through revenue from the settlement from BP Deepwater Horizon oil disaster in the Gulf of Mexico, the largest marine oil spill in the history of the petroleum industry. 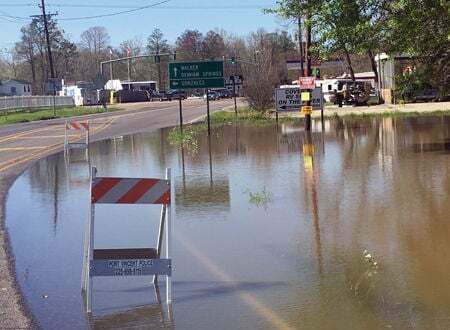 Hurdles remain before the project gets underway, but it will likely start by the end of this year, said Mark Harrell, director of the Livingston Parish Office of Homeland Security and Emergency Preparedness. The parish still must implement a Request for Qualification for engineering, as well as environmental and permitting work before it goes out for bids. The project will put silt back along the coastlines of the Amite and Blind rivers and rebuild the coastline, which has been depleted due to years hurricanes and floods. The work will also involve reconstruction of the weir near French Settlement, which should significantly improve waterflow. In Springfield, the town has taken a hands-on approach to ditch-cleaning and other projects, but leaves the bigger tasks to the Livingston Parish Department of Public Works, Mayor Tommy Abels said. It’s a measure the town adopted after the August 2016 flood as a protective measure, but the waterway cleanup the parish implemented in 2018 through the National Resource Conservation Service has also helped. “We’ve also been fortunate not to have anything close to what we had in 2016,” Abels said. State Rep. Clay Schexnayder, who represents the areas along the Amite River, believes a drainage district is the best long-term solution. He believes Livingston Parish should take a page from Ascension Parish’s book, in which their district handles maintenance repairs and cleaning of canals to maintain a steady water flow.